The new 2019 BMW 5 Series Sedan models are now available at BMW of Bloomfield in Bloomfield, NJ! Learn more about the lease deals on new BMW sport sedans going on now at our local BMW dealer. 5 Series drivers will enjoy such desirable features as 456 horsepower, a 0-60 MPH time of 3.9 seconds, and luxurious appointments. Enjoy an in-person tour of this new sport sedan at your local BMW dealer near Newark and Clifton. Schedule your test drive today! For 2019, BMW offers its new 5 Series in seven trim models for Bloomfield, New Jersey drivers to enjoy. Slide into the base model 530i Sedan to command a BMW TwinPower Turbo inline 4-cylinder that delivers 248 horsepower. Notable standard features include Driving Dynamics Control with ECO PRO, COMFORT, and SPORT modes, SensaTec upholstery, Fineline Ridge Wood interior trim, and HiFi Sound System with 12 speakers and 205-watt digital amplifier. The 2019 530i xDrive Sedan is next in the 5 Series lineup. Here, we find 248 horsepower, Twin-tube gas-pressure shock absorbers, Enhanced smartphone connectivity with an additional microphone, USB connections, and ability for simultaneous device pairing, and Dynamic Cruise Control. If you are looking for a new electric vehicle, take a look at the 530e iPerformance with a 2.0-liter BMW TwinPower Turbo inline 4-cylinder with an integrated electric motor. Standard features and design cues include an Active kidney grille, Auto Start-Stop function, and Auto Start-Stop function. For drivers considering the 2019 530e xDrive iPerformance, you'll be in command of a 2.0-liter BMW TwinPower Turbo inline 4-cylinder with an integrated electric motor. Notable systems include HD Radio™ with "multicast" FM station reception, a 2-way power glass moonroof with "one-touch" operation and power interior sunshade, Adaptive Brakelights, Acoustic safety-belt warning, and Daytime Pedestrian Protection. Are you ready to upgrade to a 3.0-liter BMW TwinPower Turbo inline 6-cylinder? Then behold the 2019 540i Sedan. If you opt for this new BMW for sale, you'll enjoy 0-60 in 4.9-seconds and 335 horsepower. Performance features include Electronic throttle control, Auto Start-Stop function, and an 8-speed Sport Automatic transmission with Sport Mode, Launch Control, and steering wheel-mounted paddle shifters. This model also comes in the 2019 540i xDrive Sedan. Like its 2WD counterpart, we find Dakota Leather upholstery, Anthracite headliner, and Fineline Ridge Wood interior trim. We conclude the new 2019 5 Series lineup with the 2019 M550i xDrive Sedan. Motivated by a 4.4-liter BMW M Performance TwinPower Turbo V-8 engine, you will enjoy 456 horsepower and 0-60MPH in 3.9-seconds. Standard features and specs include Double-wishbone multi-link aluminum front suspension, Electric power steering, and xDrive all-wheel-drive system. While you're visiting our local BMW dealer, our finance associates can help you decide if it's better to lease or buy. When you're ready to drive off in a new BMW, apply for BMW 5 Series Sedan financing near Newark and Clifton. BMW of Bloomfield is excited to put you behind the wheel of a 2019 BMW 5 Series Sedan! Stop by our New Jersey BMW dealer to explore its effective safety options, desirable features, and luxury comforts. After you drive home happy, you'll want to keep your new car running like new. For reliable BMW repair and service, schedule your service appointment online. 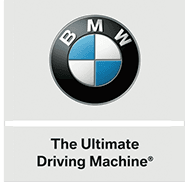 Make the short drive from Newark and Clifton to our BMW dealership, shop BMW of Bloomfield today!